Nomads is an independent team of game development from Taiwan and start-up since 2011. We often take teamwork among different cafes, so our team is called "Nomads". "Enjoy games with friends" is one of the most important points about game-play for us. Therefore, we are dedicated to creating amusing games which could help people much closer and make life much better. Also, for players tending to play a lone hand to feel fulfilled and satisfied, we would develop single-player games so that players could enjoy games at leisure. Currently we focus on developing mobile games, where is the high-growing platform, and it is also the most important trend of people's entertainment activities these years. Enjoy our games and take easy to share your ideas or comments. 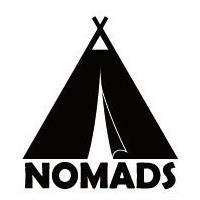 © 2012-2013 Nomads,All Rights Reserved. Travel theme. Theme images by Ollustrator. Powered by Blogger.